Like any self-respecting monarchy, the Princes of Liechtenstein didn’t limit themselves to buying snow globes and sticks of rock on their travels. And like all good Princes, they considered patronage of the arts and artists a royal obligation. So a fair few paintings, sculptures and other works found their way into one of the world’s most significant private art collections (and continue to do so). Exactly 300 years after the creation of the principality by a generous Emperor Charles VI, the Albertina pays homage to Austria’s western neighbour with a special exhibition of some of the masterpieces from the Liechtenstein collection. Earth (1566) by Giuseppe Arcimboldo, one of his Four Elements. Incidentally, two further paintings from the series sit not far from the Albertina: Fire and Water both live in the Kunsthistorisches Museum galleries. The Rubens to Makart exhibition runs from Saturday, February 16, 2019 to Monday, June 10th, 2019. 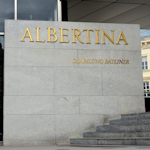 At the time of writing, the Albertina opens daily from 10 am to 6 pm (late opening to 9 pm on Wednesdays and Fridays). Access this temporary exhibition with an entrance ticket for the Albertina. A standard ticket costs €16 (concessions are available and under 19s are free). There are skip-the-line tickets*, plus the Albertina is covered by the Vienna Pass sightseeing pass (see my Vienna Pass review). Check locally for the latest times, prices, etc. Once inside, don’t neglect to visit the Batliner collection, the palace rooms or check for other temporary exhibitions running concurrently with this one. See the main Albertina page for how to reach the museum. It’s right in the centre, close to the state opera house.